With Your Own Cupcake Business! by Chris Balzer in InStore Baker, March 2017, (Vol. 5, No. 2), p. 18-20. Have you noticed how popular cupcakes are these days? Cupcakes are everywhere - gracing the pages of glossy gourmet magazines and covered with sprinkles, gumdrops and glitter. We also see them towering in stacks that replace the conventional wedding or birthday cake and even being served up in restaurants as the solo star dessert on a five star menu. Nowadays Designer Cupcakes come injected with every kind of filling imaginable - jams, jellies, creams, puddings. You can even find them filled or iced with ice-cream or leaking with brulees made from high-quality liquors! Cupcakes now come in more colors than paint chips in a paint store and more flavors than Baskin and Robbins could ever think of. Many cupcakes are so creative they are practically works of art and people are willing to pay a lot of money for just one well-done cupcake. Cupcakes are becoming so popular they are practically replacing the apple pie as America's favorite treat and chocolate as the number 1 way of raising our endorphins after a hard day. And the more exotic the cupcake, the more precious it is and the more money people are likely to spend on it, especially if it is a luscious, home-made cupcake made by a domestic Goddess (or God) with a culinary vision. If you are on this page you have probably heard that getting into the cupcake business is a foolproof way to make money right now. "Why should you start your own cupcake business?" Gourmet cupcakes is a business opportunity that is relatively simple to start, has high demand, and is red hot right now! A cupcake company can start from your own home with low risk, and grow into a store-front at a mall -- it's all up to you! Even with the tough economy, people are spending money on the small things that make them feel good. People are creating cupcake wedding cakes, cupcake birthday cakes, cupcake festivals, cupcake parties. People are getting a much higher return on investment on cupcakes than they would on cakes. After all, who wants to buy a single cake that's only one flavor, when you can buy a box full of cupcakes of different sizes, flavors, and frostings! The rumors about cupcakes being a hot commodity are TRUE! Even though cupcakes are not one of life's necessities, they have become popular because they symbolize one of life's little luxuries for those of us who are on a budget. People can't afford to go on a big trip to China any more but they can afford a Rice Flour Cupcake with Lychee Filling, Green Tea Icing and Mandarin Orange Garnish. When you are in the cupcake business, you are in the business of selling fantasy. Even if you are just marketing your cupcakes locally you can do very, very well for yourself! All you need is enthusiasm, a few of your family's best cupcake recipes, an imagination capable of running riot, a good oven and beaters and one copy of The Cupcake Business Plan. The Cupcake Business Plan outlines how you can take immediate advantage of this extremely fast-growing business opportunity that allows you to create a product that appeals to thousands of men, women, and children in your neighborhood. low overhead, low risk business that can be run from your own home! If you already run your own food or agricultural business pay particular attention to the idea of cross-promotion. Cupcakes intermesh nicely with all sorts of other products including baking tins, liqueurs, all gourmet flavorings and candies, specialty condiments and many fruits and vegetables. Cupcakes can also be cross-promoted as advertising for events, especially if they are cleverly arranged to convey a symbolic or spelled out message to hungry eyes! "Why YOU Can Start Earning A Recession-Proof Income in the Cupcake Confection Industry!" As a Cupcake business owner, it is possible to make a comfortable recession-proof income in your home town that can quickly and easily expand to own multiple locations. Quite a few cupcake entrepreneurs have already become millionaires! Don't wait until this hot trend has been exploited to death. Get in on the ground floor of this emerging sector of the gourmet and health industry now by ordering The Cupcake Business Plan! An important part of entrepreneurial success is the planning process and having a well thought business plan can be an invaluable tool for starting and growing a profitable Cupcake shop. "As Invaluable As They Can Be, Writing A Business Plan Has Been Difficult, Time Consuming, and Overwhelming.. Until Now!" Did you know that over 50% of small businesses in the United States fail in the first year and 95% percent of small business fail within the first five years? This high percentage of failure is directly related to poor planning. While a business plan is far from everything (a plan is only as good as its execution! ), having the research and foresight that an effective plan provides can be invaluable. But until now, getting a business plan specifically for a Cupcake shop could be extremely difficult -- and expensive. A solid business plan requires in depth industry research, which can take hundreds of grueling hours to gather. Not to mention, a lot of the industry information can only be gathered by subscribing to expensive online research resources. And even then you might not know which data is important to include and what is irrelevant. You could hire a business plan consultant for one-on-one help with writing your business plan. However, these consultants may charge upwards of $100/hour and you can expect to pay between $2,000 to $10,000 for a thoroughly researched plan. That is a huge amount of money you could be using for your startup capital instead. That's why we decided to put together The Cupcake Business Plan. "Save Time and Money While Avoiding The Stress of Starting from Scratch!" The Cupcake Business Plan is easy to customize and is made up of Microsoft Word, Microsoft Excel and Adobe Acrobat documents. These are documents that just about any computer and any human being can read easily. This way you don't have to get frustrated learning a new software system that won't let you edit your business plan in detail. And you don't have to worry about knowing how to write a business plan from scratch because most of it is already written for you. All you have to do is add in your Cupcake shop's facts and figures and you're done! "Consider The Top 5 Reasons Why The Cupcake Business Plan is Right for You"
Your plan is professionally researched and created from the ground up with all of the necessary details and relevant data that the bankers and investors require. This means that you don't have to worry about customizing a generic business plan to meet your needs and wondering what belongs or doesn't belong because of your industry. That alone saves a lot of time and takes the stress out of this important part of your business process. Bankers, partners and investors require business plans within a standard format and length. In addition to overall plan length, section content and length are also critical. The Cupcake Business Plan adheres to best practice business plan writing standards which makes the bankers happy and makes it easier to attract the funds you need. A business plan should be clear and concise, illustrating your business feasibility. Any irrelevant information is frowned upon. All too often, business plans will suffer from well-intended "bloat" spurred on by a desire to look like the plan "has it all together". The end result is a document that is far too long containing details that just weren't needed. The Cupcake Business Plan focuses on what's important, leaving the fluff for the pillows. The Cupcake Business Plan (updated for 2017) was developed and researched using trusted, contemporary resources and market data. All of the difficult to find industry research has been gathered for you - with statistics, forecasts and market data saving time, effort and stress. When you build your Cupcake business plan with real research from accurate sources, you're free to focus on all of the other startup tasks at hand. Some might call us crazy for offering a 60-day money back guarantee on a business plan. That's ok. We want to make sure that each and every customer is completely satisfied with their purchase. If you're not completely satisfied with The Cupcake Business Plan, for any reason, we'll refund your money. One of the most difficult part of writing a business plan is the research involved. This is why the Cupcake Business Plan pays special attention to the research section. This business plan uses only the most reputable sources and includes the key information entrepreneurs, banks and investors require. The Cupcake Business Plan is updated every year to ensure you always have the most up-to-date facts and figures within your plan. Since the industry research section is already written, you save hundreds of frustrating hours to manually gather anything nearly as comprehensive. That alone is worth your investment! Just look at all of the pre-made Cupcake industry charts and graphs included in The Cupcake Business Plan! The United States Cupcake Market Growth over the past 5 years! What your risks are and how to minimize the risk. How much revenue you can expect in the first year, the second year, and so on. How you can set your shop apart from the others - and double your income! The minimal requirements you need to get into the Cupcake industry. "Are You Sure The Cupcake Business Plan Is Right for Me?" This Cupcake business plan has been written to accommodate a variety of situations. Do any of the following points describe your situation? Starting a Traditional Cupcake Shop? Buying an Existing Cupcake Shop? Need to Value Your Current Business? If any of these situations are right for you the Cupcake Business Plan can offer you the groundwork to customize your own winning plan that will impress investors, financiers and potential partners. Did you know that a large portion of the business plan buyers are seasoned business owners? They invest in a good plan because they can truly appreciate the requirements of banks and investors for details and hard numbers. "You Can't Start On This Journey Without A Map to Success!" Why do you need a business plan? 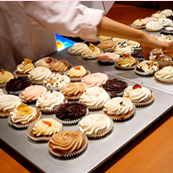 There are many decisions to be made before opening your cupcake business such as a plan for hiring employees, what ingredients you will need, shipping and catering options, creating a menu, determine and secure financing, selecting a location. It will help you line up investors, determine if your business ideas will work, and turn your thoughts into actions. Not only will you have a template for your business plan, but you will learn some valuable information and tips while hearing how others have gotten into the cupcake business. 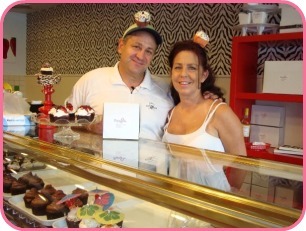 Check out what our cupcake shop owners have to say! "Here's What Other Entrepreneurs Are Saying..."
"It Was All About Location, Location, Location..."
"I wrestled with the decision about whether or not to open my own cupcake shop in a little vacant corner store that was without a tenant for two years. I just could never decide whether or not I could turn over a profit with this kind of business in my community. Thanks to The Cupcake Business Plan I have not only revitalized this rotted out corner with my new shop but my beautiful little cup cake and tea parlor is thriving!! In fact, thanks to me, the run-down little arts area where I live is now home to similar little funky businesses. We are building a cafe society in what was a bit of ghetto!" "Cupcakes Got Me Off My Two-Job Treadmill..."
"I'm a single mom and was just barely making ends meet working at one retail job five days a week and then working in a fast food restaurant part-time at night. Everyone always said my baking was a dream and I was making cupcakes on the side long before they became so trendy. It was my son that got me this Cupcake business plan and now I have my own shop, am doing what I love and I am making enough money to keep a few other talented bakers I know full-time employed!" "I run a small coffee shop in Seattle and I really did not think that there was any way to fight the tyrannical monopoly of there being Starbucks until I got the idea to add a line of gourmet cupcakes to my menu. Starbucks gives them the same day every day and is really expensive. My cupcakes are unique - each is like a little treasure. Using the Cupcake business plan I was able to figure out the exact price point I needed to not only make a profit but keep the repeat customers flocking to me and not the big coffee chain that Seattle is famous for ...unlike Starbucks I can keep changing the cupcakes I offer every day. Thanks to the Cupcake business plan I am the David who beat the Goliath with one intelligent shot! " "My Cottage Industry Became Big Business Fast!" "Here in Maine everyone finds their thrill on Blueberry Hill. I have been making the best blueberry cupcakes in my cottage for many years and selling them at my roadside stand. However it was not until I got a copy of The Cupcake Business plan that I opened a shop near town. Today my cupcake business also features cupcakes made with Maple Syrup and Salt Water Taffy - two other specialties of the area! I now have plans to open other cupcake shops in Hallowell and Augusta in Kennebec too! I can do it because I know I have a formula that works now." "I Never Thought I Would Get A Bank Loan But I Did..."
"Thanks to the Cupcake Business Plan my dream of owning my own cupcake shop finally could come true. Mostly it was about shortage of money. I never ever thought in a million years that I could convince a bank to give me a loan to sell cupcakes. In February 2009 the impossible happened. I took my plan in and presented my business description, calculations, marketing plan and income estimates and came up with enough money to rent in a great location in a very busy mall next to a subway! I am making a mint! " "Cupcakes Saved My Coffee Shop!" "I run a gourmet coffee shape in South Beach. There are tons of specialty cafes here in the Art Deco district and I realized that I needed to do something spectacular to make my business stand out from the crowd. There are lots of coffee joints selling the usual banana bread, muffins and chocolate cake but nobody was offering gourmet cupcakes. Once I started offering cupcakes my business went through the roof. My key lime and coconut cupcakes were a real hit as were my Tikki Cocktail inspired Pina Colada Cup Cakes with the umbrellas on top! " "Cupcakes Making a Living Doing What I Love!" "I am a sculptor but during the recession I found that nobody was buying art. I decided to go to a more affordable, if temporary art form - cupcakes. I am making a great living running my own cupcake showroom and I have the Cupcake business plan book to thank. I live in Santa Barbara where people love exotic one-of-a-kind treasures and I found I was able to express my artistic side through the creation of my cupcake lines. I also do customized cupcakes and one of a kind cupcakes for special events. Some of my creations command hundreds of dollars just for one event - much more than my redwood sculptures. I get lots of press and tourist visits too. Thanks for teaching me how to sell my idea and my business so I can make a living doing what I love! " "I Turned My Catering Business Into a Cupcake Shop..."
"I have been a caterer full time for some years but in these hard times I found that my services were just not as much in demand. However one thing that I did notice is that no matter how small the affair people seemed to always ask for my Grandma's Red Velvet Cupcakes. These confections were based on a chocolate cake recipe with cream cheese icing that had been passed down to me. I also had her carrot cake recipe, zucchini loaf recipe and banana loaf recipes. I transformed all of these into successful healthy low-calorie cupcake recipes and I now have my own little cupcake shop that does a raving business! I will never have to stand behind a chafing dish again! " "Food Stylist Opens Her Own Store..."
"Thanks for the great business plan! I was a food stylist for the film and television industry and little by little my work began to dry up over the past few years. I decided that I needed a job where I could be my own boss and at the same time express my creativity. As we have nothing to compare to your business plan online in Canada I ordered yours and to my delight was able to put all of the principles of opening a cupcake store into action even though your book is written for the U.S.. I am doing so well I am thinking of opening a store up in Markham - a suburb up here! Thanks again! " "Healthy Cup Cakes Are All The Rage..."
"As a veteran employee of a weight loss center I know that calorie deprivation does not work. I opened a cupcake shop that showcases healthy cupcakes - low fat, low calorie, non-dairy, soy, carob, acai, gluten-free and low glycemic confections to reward the starving women coming out of the yoga and Pilates center next door every day. I do a raving business thanks to the Cupcake Business plan which showed me exactly how to explain to my bank loans officer where my future profits were coming from... "
Regardless of what anyone says, starting your own business has its risks. But, what I've learned is that a good business plan can help you recognize and tackle challenges before they set you back. "A Professional Business Plan in a Fraction of the Time at a Fraction of the Cost!" 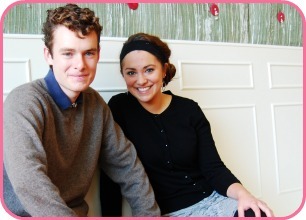 When you actually sit down to write a Cupcake shop business plan, you can feel overwhelmed. Where do you start? What do you say? With so many sections and critical information expected, it's hard to know. Generic plans are riddled unspecifics and paying a consultant to write a plan for you will easily put you out anywhere from $2,000 to $10,000. With the Cupcake Business Plan, you have a professional business plan hand-crafted specifically for the Cupcake industry developed in a fraction of the time it would take if you were writing it from scratch! We've priced our business plan carefully to make sure that we're offering you a maximum value for a minimal investment. The Cupcake Business Plan includes a completely customizable business plan for the shockingly affordable price of only $47.00. We've just updated The Cupcake Business Plan for 2017 and, for a limited time, are offering it at a special price of only $47 (Save $100.00)! These bonus audio interviews will provide you with a wealth of information on how to get started in the business from people who have actually gone through the process! These entrepreneurs share their stories on how they opened their own cupcake business, ranging from an at-home business to a stand alone shop in a shopping district. Learn from the obstacles these owners had to overcome when taking over a business with a poor reputation. This interview will give you tips on building your brand presence and reputation, while giving you an insider's view on what it is like to open a cupcake shop. Think you need to own a shop in order to cater events? Think again. Katie is a great example of how you can start a business with low costs and still service large orders while building your customer base. This interview will teach you how you can open a cupcake shop while not having your own location. Find out how partnering with another business and cross promoting can increase your sales and exposure. 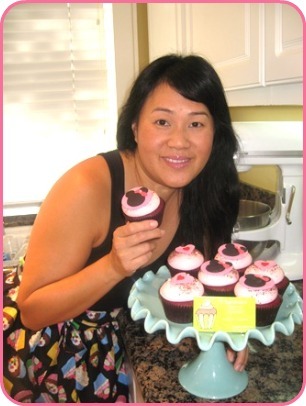 Are you passionate about baking and want to start a cupcake business with low overhead? This entrepreneur found a way to supplement her income, doing what she loves, while keeping costs very low. Find out her secrets to promoting her business and giving back to the community. If you've thought about opening a cupcake shop but don't think it's a reality, this cupcake duo will show you that it's possible! How to Get an SBA Loan: Your guide to the most popular SBA loans and how to secure the funds you need for your business! So you've decided you want to start your own business, great! But before you get too far ahead of yourself, you need a plan to finance your business. One of the best resources entrepreneurs turn to is the SBA. This FREE ebook will explain the differences between the different types of SBA loans and describe what type of business they work best for. Learn what important tools you will need to put you ahead of the rest when it comes to getting your loan APPROVED! All these bonuses loaded with detailed Cupcake business information ($541.00 value) are yours free! 100% Satisfaction Guaranteed - Risk Free! We stand wholeheartedly behind our product and work hard for your business. If you are not completely satisfied, you will get a 100% refund of your investment within 60-Days of purchase. Our best updates and improvements over the years have come as a direct result of feedback from our customers and we welcome everything that we receive. With your purchase, we look forward to welcoming you as our next happy customer. I understand this order will give me IMMEDIATE ACCESS to The Cupcake Business Plan, freshly updated for 2017. I understand that I'll also receive the Amazing Bonuses ($541 Value) absolutely free! I understand that the order occurs via an industry-leading secure server and that my ordering information is completely safe. I understand that if I'm not completely satisfied, I can return my purchase for a full refund within 60-Days. I understand that my payment is a one-time only fee of just $47.00 and I can pay with either my Visa, MasterCard, American Express, Discover or PayPal. Don't wait another minute. Discover the foolproof way to create a powerful, customized business plan! It's the same business plan template that has already guided hundreds of successful Cupcake business owners - and it can help you achieve success, too! P.S. If you came to this Web site looking for information on how to make money in the Cupcake business, this plan is for you. No other customizable plan and resource offers such professional, in-depth insight into this exciting industry. And you can order it here right now! P.P.S. We've made sure you've got plenty to gain and nothing to lose with our 60-Day Risk Free Money Back Guarantee. PLEASE NOTE: This price may not last long! Gain the planning advantage you're looking for and order it now before the price goes up! P.P.P.S. Don't wait! Opportunity favors the well prepared. This business plan and the amazing bonuses included will help you cement your vision and guide you on your way to making your Cupcake dream come true. © 2017 CupCakeBusinessPlan.com - All rights reserved.